This is a free Evidence Graphic Organizer. 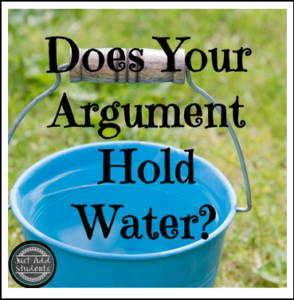 It can be used for any argument essay to help students gather and analyze arguments needed to support a claim. This graphic organizer comes from my “Dear Santa, Take me off the Naughty List” resource. I hope this little freebie makes your life easier! Please leave me feedback — I love to hear from you! Follow my store to be the first to know about future products and free items. ← Rhetorical Analysis Unit Bundle- Digital and Printable!